Tartan was up against a deadline to complete a prototype for their new T4000 sailboat. Northern Lights Solutions offered to help with the design components. NLS has extensive knowledge and expertise in manufacturing engineering for companies who need help getting products to market. NLS has the ability to design the tooling and machines. In addition to the design work, NLS also has an office in China, which means we can be at the physical factory location to oversee the process. With our Asia quality control team, the production could easily be monitored to ensure conformance to client and regulatory requirements. NLS worked through the new designs with Tartan Marine and learned that the company was having issues with its current supplier of fabricated goods. As a result, NLS put together a program that would enable us to become the new supplier. NLS was well suited for this project because of our level of experience using powerful design and simulation tools. Our ability to design engineer the parts, in conjunction with our ability to manufacture them, made us an even better candidate. We were a one-stop shop for Tartan Marine, and our resources in both the United States and China only sweetened the deal. NLS began the design work at Tartan Marine’s facility for the new T4000 model, and our relationship quickly evolved to include us manufacturing components for them. “We set up a desk at their Painesville facility and started designing hardware with them, with the idea that we would also manufacture the parts. We invested in their design process, which reduced their costs. In return, we were able to bid on and win new business. It was really a win for everyone”, said Roger Tipton, President of Northern Lights Solutions. NLS’ manufacturing plan involves making products in the US or China based on a combination of factors such as lead time, cost, quality requirements, and control of intellectual property. Having manufacturing operations and controls in both the US and China is a huge benefit to our customers. It grants us the opportunity to tailor a program to meet our customers’ specific needs. We were able to supply the goods to Tartan Marine from our Cleveland, Ohio warehouse to ensure the best lead times. This meant that our client only had to deal with our Cleveland team. The new T4000 was launched to critical acclaim. The hardware that NLS designed was scrutinized and applauded. 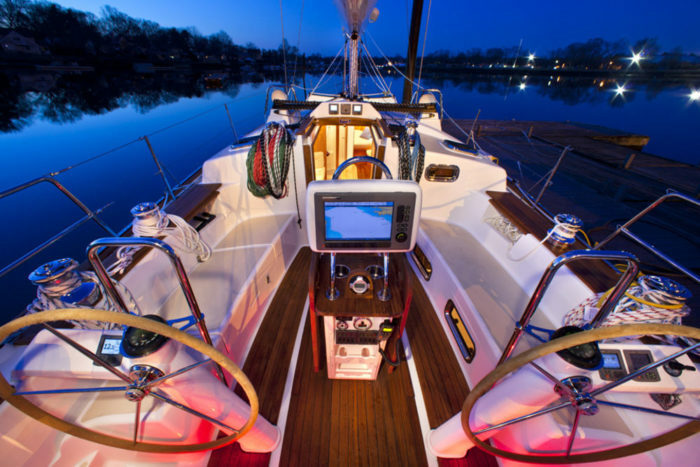 “Coupled with the boat’s build quality and the muscular hardware Tartan has specified, the deck is aesthetically pleasing as well,” said Sail Magazine. It was the 2012 Cruising World and Sailing World Boat of the Year.